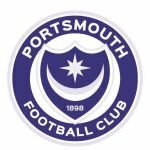 Happy birthday to John Latimer, Mart Poom and Collins Mbesuma – the Pompey players from the Blues’ past born on this day. Latimer was not only well before my time – but that anyone on here – so isn’t known to me to be honest. Poom I do recall but I think it fair to say the former Pompey goalkeeper is better known in the game from his spells at other clubs. As for Mbesuma, the less said the better! What are your memories of Latimer – well before the time of anyone, Poom and/or Mbesuma their Pompey days? Also have you taken in any of the games previously played today – if so what are the memories from them too? Same for me. Think 74 was the first ever league game on a Sunday at the Park. Pompey have not won on this day during my lifetime!! Hopefully today they will break that duck.